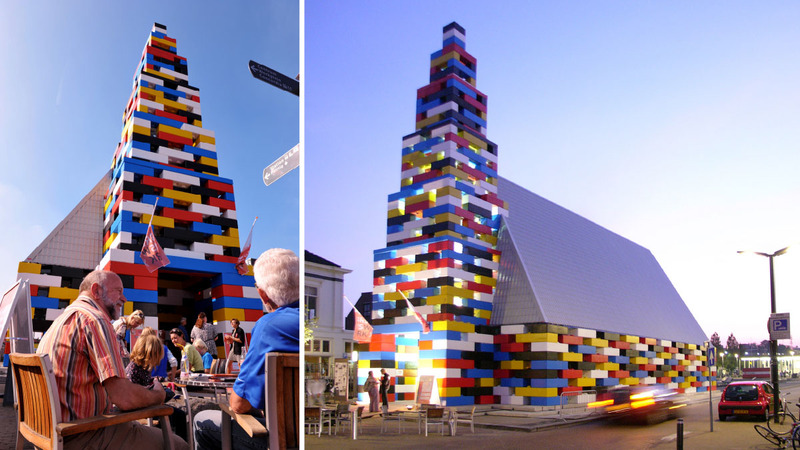 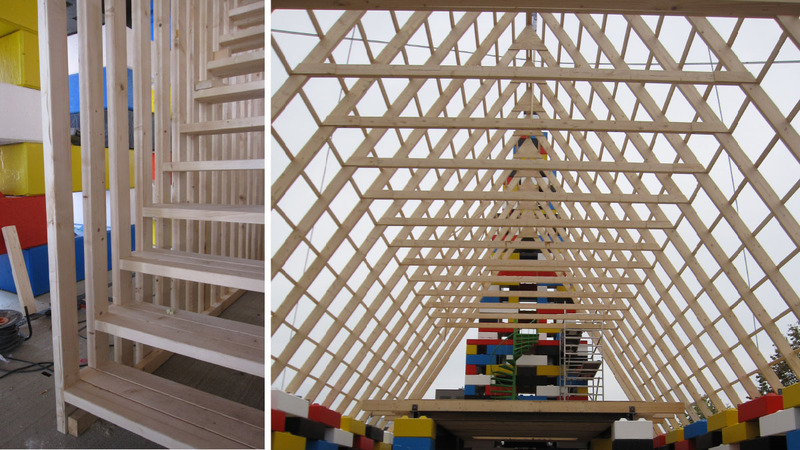 The Abondantus Gigantus, a larger-than-life toy block structure better known as the lego church, was a temporary pavilion in Enschede, the Netherlands. 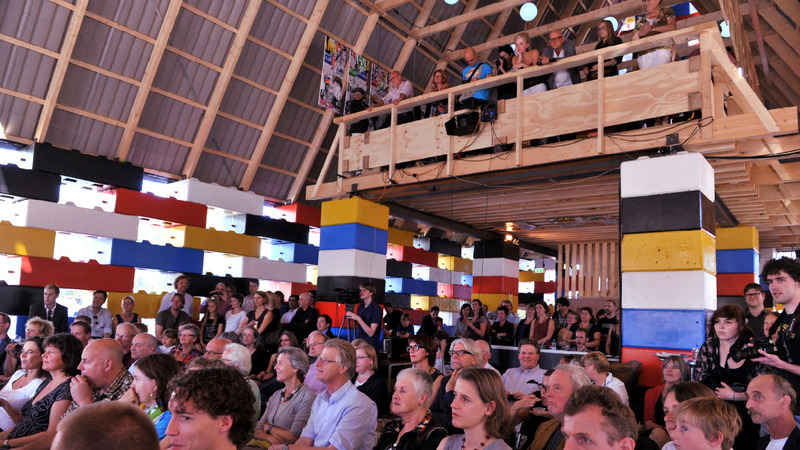 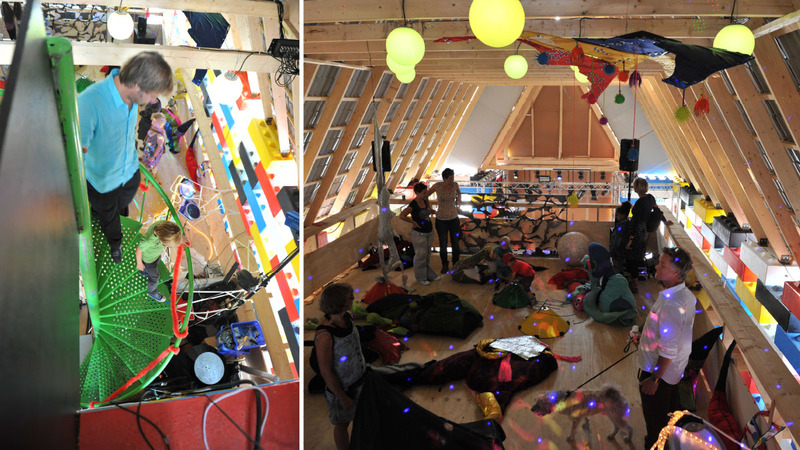 The pavilion was created for the GrensWerk Arts Festival in 2011, serving as a meeting point and a stage for various performances and exhibitions. 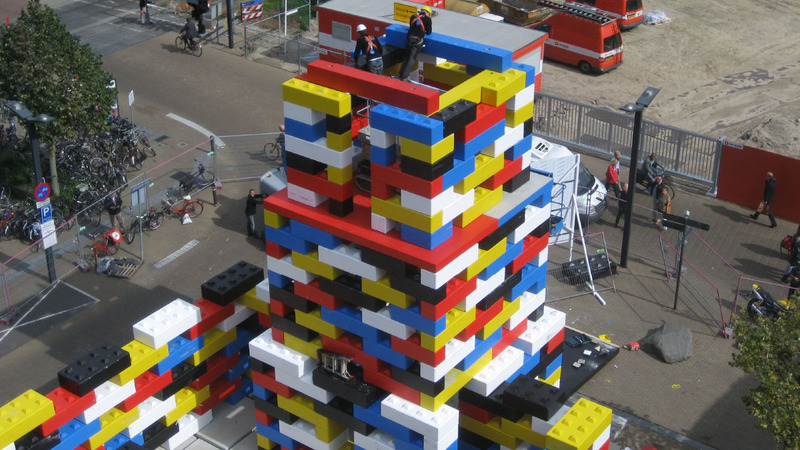 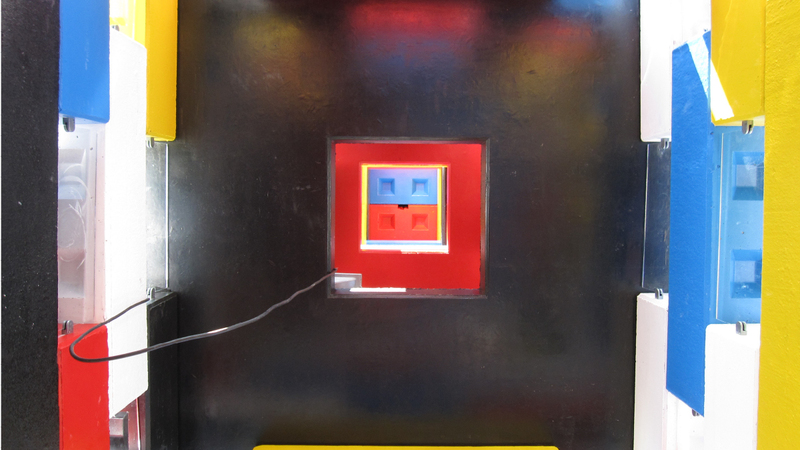 The Legioblocks – recycled concrete blocks that resemble Lego bricks – were coloured in bright, primary tones just like the originals. 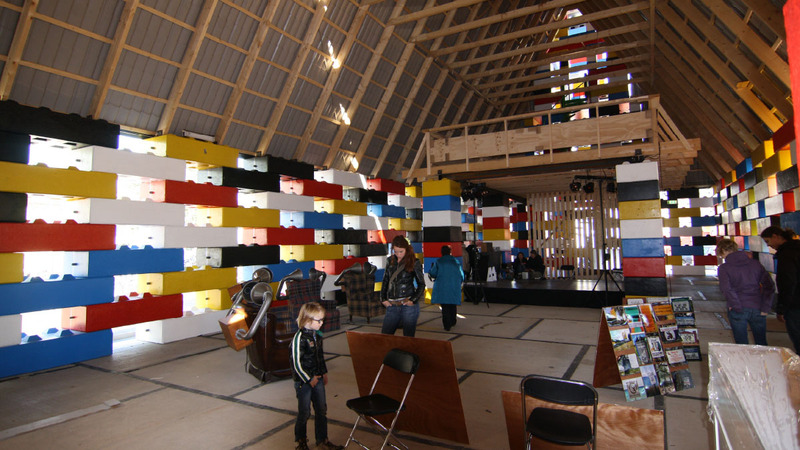 Arranged in honeycomb patterns, the giant blocks reflected and enhanced sunlight through the day. 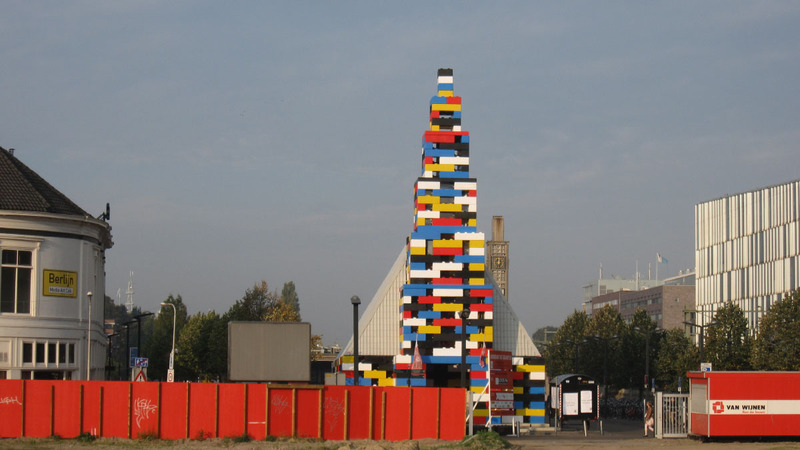 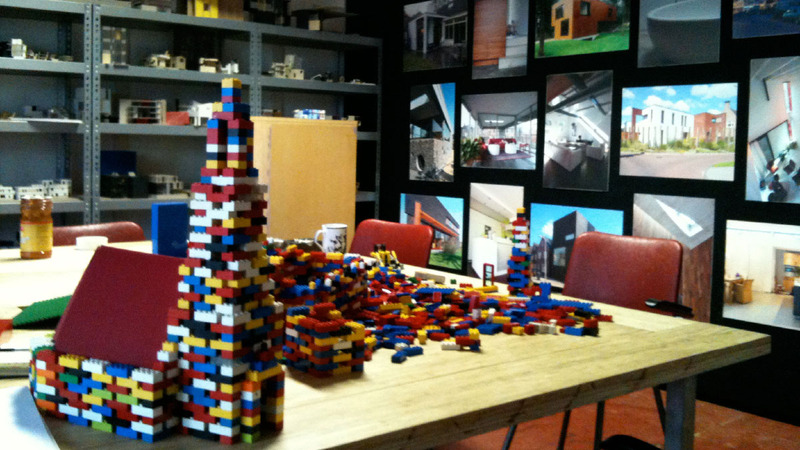 Loos.FM, a multidisciplinary collective specialising in temporary public space, opted to build a church-like building with a 20m tall spire so that it would stand out in the city – making a connection between something grand and overwhelming (the church and its size) and something playful, simple and comprehensible (Lego). 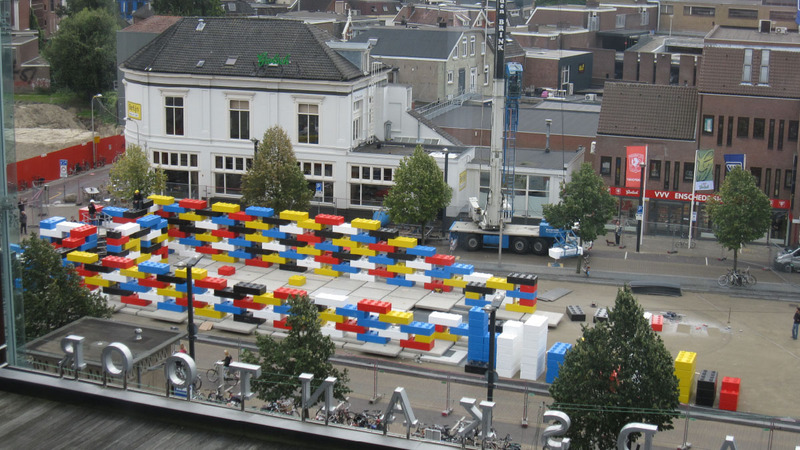 Location Stationsplein, Enschede, The Netherlands. 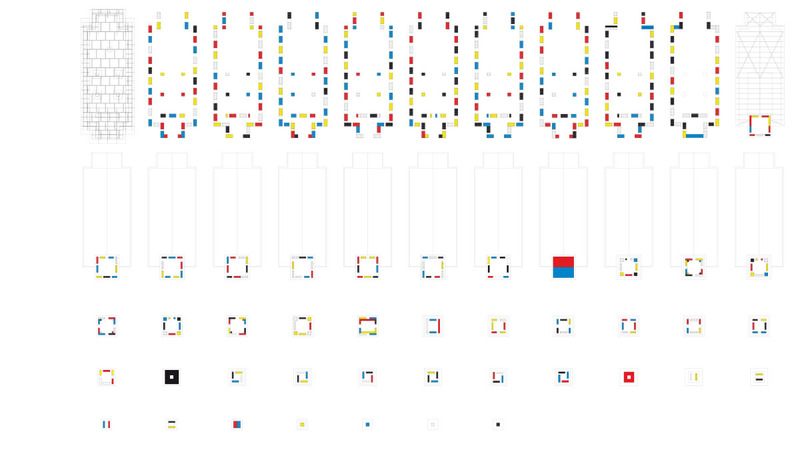 © 2019 Project DWG Enschede ~ The Netherlands · Sitemap · All rights reserved.